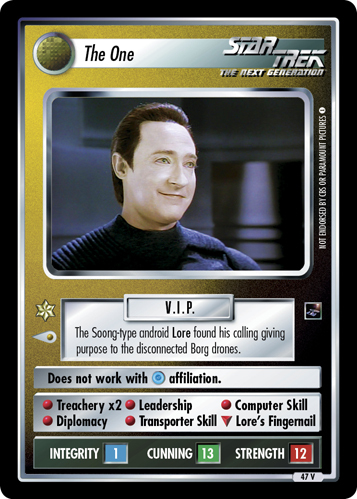 One of many Borg disconnected from the Collective who became loyal to The One. 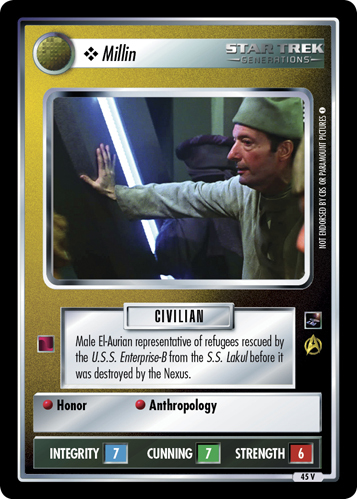 Guarded the Federation prisoners but was easily tricked by them. 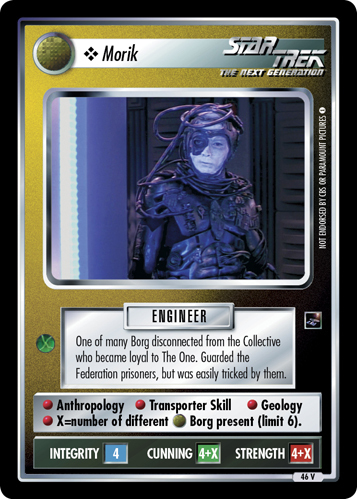 • Anthropology • Transporter Skill • Geology • X=number of different Borg present (limit 6).